Dubai: A worldwide shortage of life-saving injection Epipen has also affected its availability in Dubai, pharmacists told Gulf News. Gulf News visited and contacted over 15 pharmacies requesting for both a junior and adult Epipen injections over a period of three months. The pharmacies said the injection is “out of stock” and unavailable for many months. The Epipen injection is an auto-injector device, issued to people who suffer from severe allergies as a precautionary tool, which is recommended to be carried with them at all times in case of a reaction. Allergies can include anything from a bee sting to a range of food allergies such as nuts, seafood and fruits. The standard adult device issued for adults contains 0.3mg of epinephrine (300mcg of adrenalin) and is intended for patients who weigh 30kg or more, while the junior device contains 0.15mg of epinephrine (150mcg of adrenalin) for patients who weigh 15-30kg. A comment from the Ministry of Health was not immediately available. Life pharmacy with over a dozen branches in Dubai, said the injection was not available in all their branches. However, several Life pharmacists said they may be able to arrange for an Epipen device if urgently needed. “Sorry ma’am, we have not received stock of the injection for a long time. I can see if it’s possible to find one for you — it’s a problem with the supplier,” one pharmacist at Life told Gulf News. Another pharmacist said the injection is available in their warehouses and could be ordered if needed. Meanwhile, another pharmacy chain, Bin Sina, said the injection was only available in three of its branches and was low in stock. Also, pharmacist at one Aster pharmacy branch said the junior device was available in one of its branches, while a handful of adult Epipen injections were available at two of its branches. Gulf News reached out to Aster Pharmacy who said they work with suppliers to maintain an adequate stock of Epipen injections at their central storage facility. “Customers who are looking to buy one can visit their nearest Aster Pharmacy that will place an expedited order. Aster Pharmacy’s inter-branch transfer facility allows individual branches to transfer stock between each other, with full visibility of the stock held. "We are able to transfer the medicines to the pharmacy and then to the customer. Although, currently, there’s also a shortage of Epipen adult units from the supplier in the market,” said a spokesperson from Aster Pharmacy. No Epipen injections were in stock at any of the five local pharmacies contacted by Gulf News. Reaching out to hospitals in the city, Gulf News also learnt that it was unavailable in all branches of one Dubai hospital. The injection was available in two other hospitals that were contacted, however, they confirmed it would not be covered by insurance if the patient’s prescription came from another hospital. The cost of the adult and junior Epipen injection is Dh314 each unless covered by insurance. 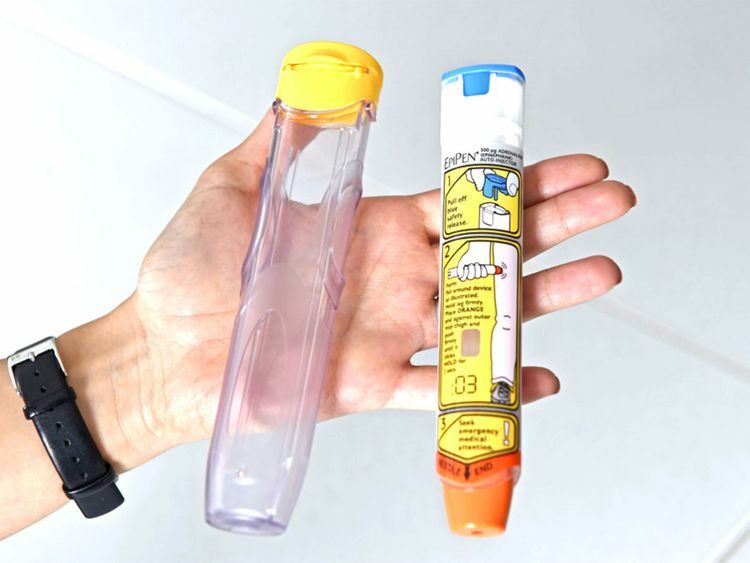 Commenting on the shortage of Epipens worldwide, Dr Arun Sharma a Dubai Neuro-physician referred to the FDA’s recent announcement advising patients to use their Epipen devices up to four months past their expiration date. He pointed out the sole purpose of Epipen is that it can be easily transported and carried by people who have identified serious allergic reactions. “If someone accidentally ingests a food they are severely allergic to they would suffer from an anaphylactic reaction, which can be extremely life threatening, and having the Epipen would not only save them from rushing to the hospital, but can also save their life,” he said.